Abu Dhabi just got itself a killer heavyweight clash. After a four-year hiatus, the octagon will return to Abu Dhabi in April when the UFC brings an event to the United Arab Emirates capital city. 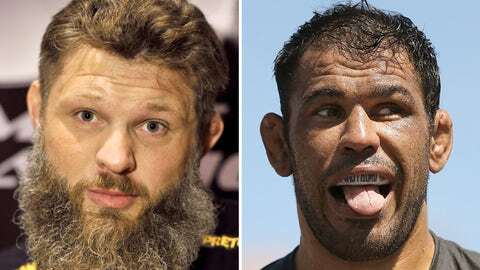 Now the show has its first matchup, as UFC president Dana White confirmed on Thursday that heavyweights Roy Nelson and Antonio Rodrigo Nogueira will square off in the bout expected to headline the show. White said the event would take place in April but did not have a specific date. A UFC official later told FOX Sports it was tentatively scheduled for April 11. Nogueira (34-8-1, 1 no contest) will be competing for the first time since last June, when he lost to Fabricio Werdum via armba submission. Nelson is coming off two consecutive losses, dropping decisions to Daniel Cormier and Stipe Miocic. He’s now 19-9. Abu Dhabi is the home of Flash Entertainment, a subsidiary of the government of the Emirate of Abu Dhabi which owns a 10 percent stake in UFC parent company Zuffa, LLC. The promotion last visited there in April 2010, when Anderson Silva beat Demian Maia in a fight that became infamous for Silva’s curious performance, which saw him dominate despite a seeming disinterest in the proceedings.